This promo code is an 'all-purpose' promo code that will save you 35% off all new products. If you're purchasing a lot of items at once, this is the best voucher for you. Register a .CO.UK Domain For Just £0.01 For The 1st Year. When you register your domain for 2 years, you'll receive your first year for just £0.01. £9.99 for additional years. These prices exclude VAT. No promo code, just register it for 2 years and the discounted price will take effect automatically. Add an extra layer of security to your website with an SSL certificate, now just £0.49/month for the first year. Upon redemption of this voucher code, you'll receive web hosting for just £1/month, plus a free domain name registration. 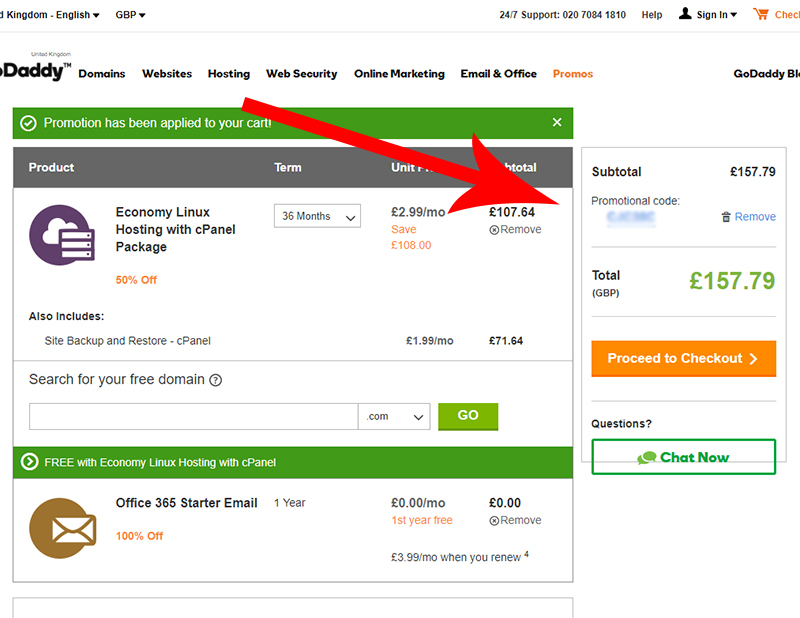 That's a domain and hosting plan for just £12 for the first year! Right now you can register a .COM domain name for just £1.10 for the first year. This offer is limited to one per customer. This voucher code enables you to register unlimited .COM domain names for just £6.99 each. Use this discount code to save 30% off all new products. This can be used for any GoDaddy products including domain names, hosting, website builders, etc. Exceptions are that it doesn't work for GoDaddy gift cards and it doesn't apply to renewing a product or service that you already use. However, if you are setting up a new account or new product this can save you a lot of money! Utilize this promotional code to save 40% off new domain name registrations. 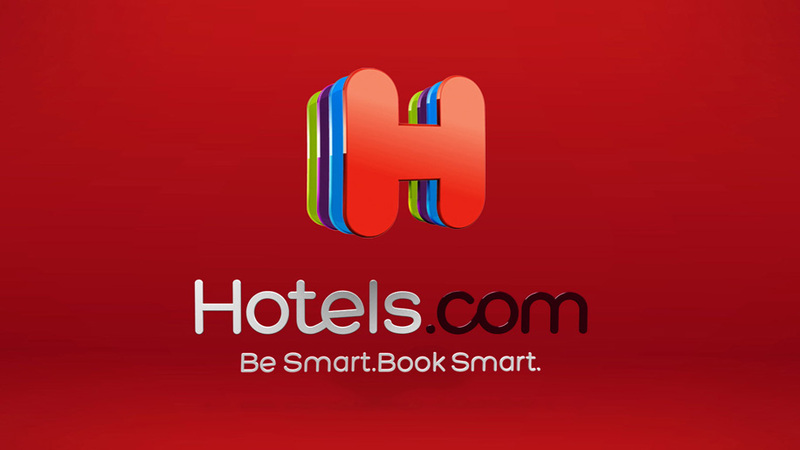 Register a .COM domain for just 99p with this promotional code. This offer is limited to 1 per customer. Redeem this promo code to save up to 60% off new hosting plans. This code works for VPS hosting packages as well! Only pay half-price when you enter this promotional code when purchasing any new shared hosting package. 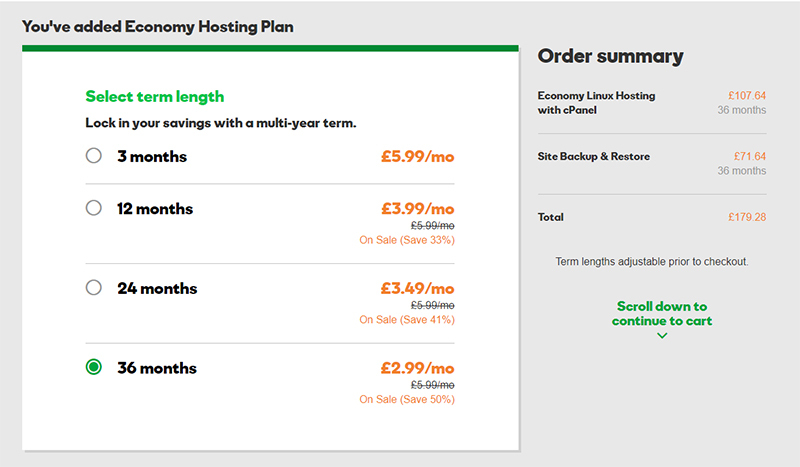 Pay just £12 for your first year of managed wordpress web hosting with this promo code. You also receive a free domain registration as part of this deal. This is a site-wide voucher you can use to save 35% off your purchases of new products. This coupon code works for Virtual Private Server Hosting. As this is typically a fairly expensive service due to it's speed and options for customization, this coupon can save you a lot of money! Take 34% off the total of your purchases when you redeem this promo code at checkout. There are literally hundreds of new domain extensions available for purchase. When you use this promo code, you will save yourself 30% off the regular price. Price varies by the particular domain extension you choose. Download and install GoDaddy's quick and easy website builder free for the first 30 days. Register a .CLUB Domain Name For Just £0.99! You can purchase a domain name with a .CLUB extension for just 99p with this promotion. Add extra security to your website for just £54.99 for the first year. This code is nearly as good: 28% off all new products. If you are using this code to purchase a new domain or hosting, signing up for multiple years at once will net you a lot of savings overall. Use this promo code to save 25% off standard SSL (secure-socket layer) certificates. Having an SSL certificate is becoming more and more important these days, if you use this coupon and purchase several years worth you save even more. Save 30% Off Personal Domains! 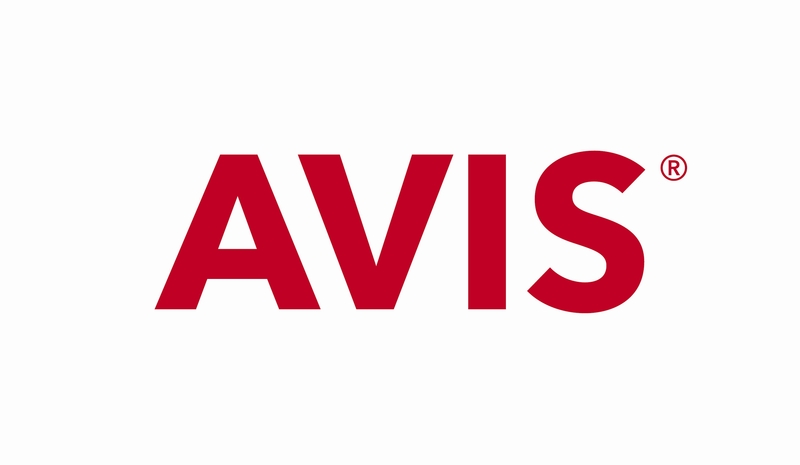 Add to your brand with a personal domain name today! Save 30% off upon use of this discount code. £0.99 For a .ONLINE Domain Name! Register a domain name with a .ONLINE extension for just £.0.99 for the first year. Register a .CO Domain For Just 99p! Domain names with the popular .CO extension are currently on sale for 99p upon redemption of this promo code. Welcome to our round up of GoDaddy promo codes. 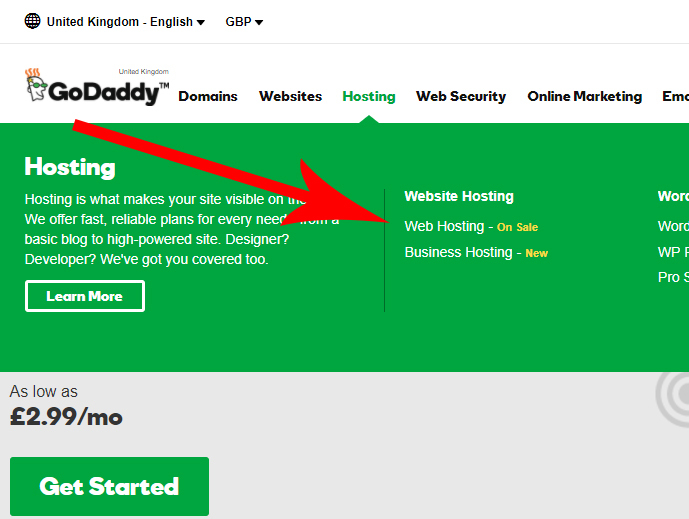 With so many web hosting companies available to choose from it can be difficult to make an informed decision, but with GoDaddy you’ll be making the right one. They offer a complete line of hosting services from Web Hosting to Cloud Apps as well as DYI SEO Marketing and Expert SEO services. They have been ranked as the #1 domain registrar worldwide and they are considered the largest hosting company in the industry. If one of our coupons isn’t working for you please let us know immediately. While we make sure they are screened and tested weekly, technical hiccups can arise from time to time. Should this happen, we will quickly repair the error so you can get back to saving money. The following promo codes consist of a large selection of different offers, so we recommend browsing all of them before choosing. Sometimes the location of the coupon promo code box can be hard to find when navigating the online checkout, so here’s a quick guide. Please follow each step to avoid missing out on savings. 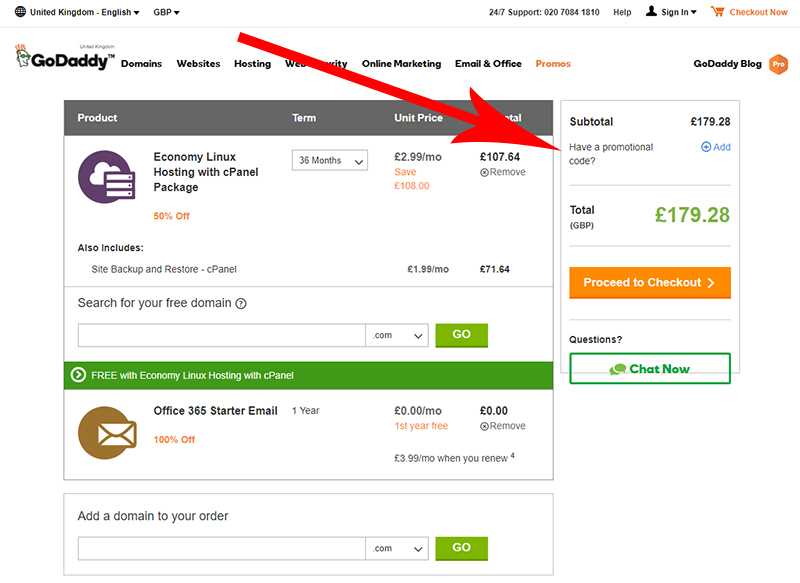 With GoDaddy you’ll also have to slog through a few pages of upsells, we’ll tell you which ones are actually worth it, and which ones are not. First things first, you need to select the product you want to purchase. For the purposes of this walk-through we are going to demonstrate how to purchase web hosting. From the menu at the top click on ‘Hosting’ and then select ‘Web Hosting’ from the drop-down menu. Now, they have some other options there that might look attractive to you, but they probably aren’t necessary. ‘Business hosting’ is probably more server space and computing power than you need unless you are a large company, and WordPress hosting is a little superfluous as you can easily install WordPress on their basic (and cheaper) hosting plans as well. However, if you’d prefer to have somebody else do it for you and you don’t mind a higher price tag then by all means go for that. The next page is selecting the term you’d like to purchase products for. The super low price they quote you on the page before is for a 3 year term. If you don’t want to commit to that much up front no worries you don’t have to, you can select a shorter term (up to 3 months) for what is still a very reasonable price. Once you’ve selected your term you will need to scroll to the bottom of the page to find the big orange ‘Continue With These Options’ button. Before that there will be the option to purchase their automated backup service for another monthly fee. It’s always a good idea to make regular backups of your site in case of a security breach, software update conflicts or failures, or if you simply accidentally delete something. However, if you don’t want to pay for the service you can make your own backups manually. You don’t really need the Malware scanning or SSL Certificate, unless you are running an e-commerce site or collecting sensitive information through your website. This is the shopping cart page where you can enter your promotional code! It’s on the right hand side just above the total. Click on the little ‘+’ sign to expand the box, put the code into the box, and then click the ‘Apply’ link under the box. If your code is valid it will display just above your total and you will see the price updated with the discount. 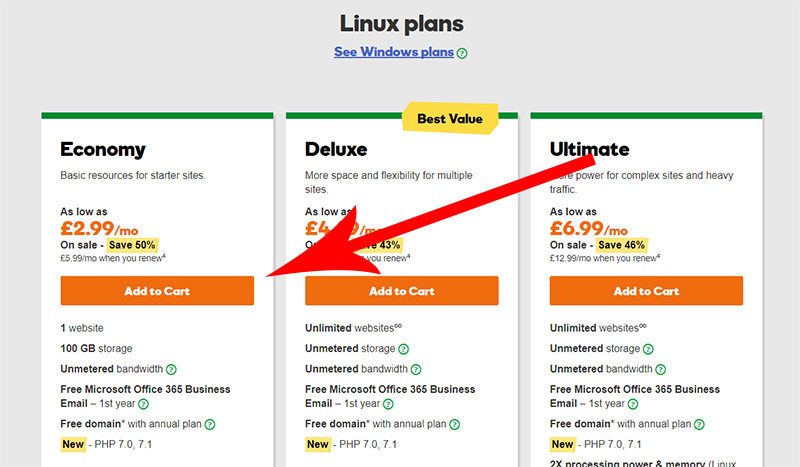 Have a look at the left hand side of the cart again, under your main purchase there may be items that GoDaddy has ‘helpfully’ included as free with your purchase. Just be aware these products are only free for the term specified and will renew at their full price once it’s up. If you don’t really need them, probably best to just remove them from the cart. When you are ready click the orange ‘Proceed to Checkout’ button to enter your payment info. 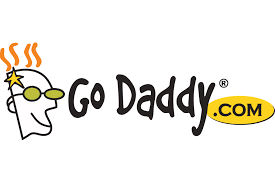 GoDaddy currently provide their services to more than 14 million customers across the globe, employ over 5000 workers, and manage more than 63 million domain names. The company was founded in 1997 by Bob Parsons—a Maryland entrepreneur—and they are well known for being featured in Super Bowl advertising as well as possessing the worlds largest cloud platform dedicated to small business owners. They also offer a wide variety of web security products that protect their customers from viruses, hackers, identity theft and the latest cyber threats. In total they offer six different SSL Certificates to choose from as well as SiteLock Web Security and SiteLock 911. They don’t skimp on their email services either. Depending on the hosting package you choose, you’ll receive a free email address. If you want more email features you can take advantage of their three-tiered Professional Email plan starting as low as £2.99. With plenty of services and hundreds of domain names to choose from, coming with a variety of extensions, you’ll be well taken care of with GoDaddy. If you have any issues with their service they encourage you to contact their customer support line. It’s open 24/7/365, but if you’d rather use the online chat function then they’ve got that, too. You don’t hold the status of “world’s largest domain registrar” without putting yourself out there, and that’s why GoDaddy continue to uphold a heavy social media presence. Their Facebook page is loaded with insightful business tips, how to keep yourself safe from the latest online threats, social media marketing advice, and more. They’ve also got some fun and cool custom animations that are used to engage their audience in an innovative way. Currently, GoDaddy is backed by a whopping 1.5 million followers and the overall vibe of the page is definitely positive. Their Twitter page is also active with multiple posts per day. We noticed that there wasn’t much overlap, giving their followers plenty of variety. Their twitter feed is dense with helpful business tips as well as keeping you up to date with media events and upcoming product launches. To top it off they even post exclusive discounts. If you want to find out more about GoDaddy then we’d recommend you take a few minutes to hang out on their social media pages. 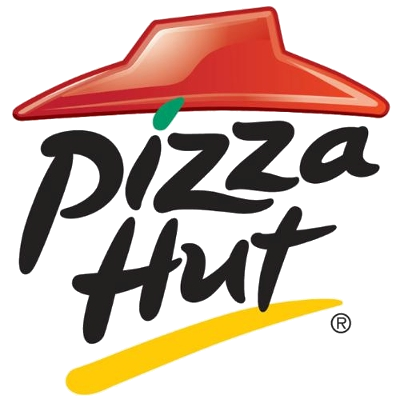 Browse the posts and connect with other customers if you want an unbiased opinion. With such a large percentage of engagement, someone should respond to you within minutes. GoDaddy’s mission is to give each one of their customers an affordable, simple way to show the world their idea, and their youtube channel proves even further why they are the leaders of the industry. With over 330 videos ranging from easily digested explainer videos, online marketing tutorials, how to add purchase buttons to your website, how to create an email account, and more, GoDaddy’s Youtube channel is something you need to check out if you want to save yourself the headache that small frustrations can amount to when designing your website, blog, or eCommerce site.